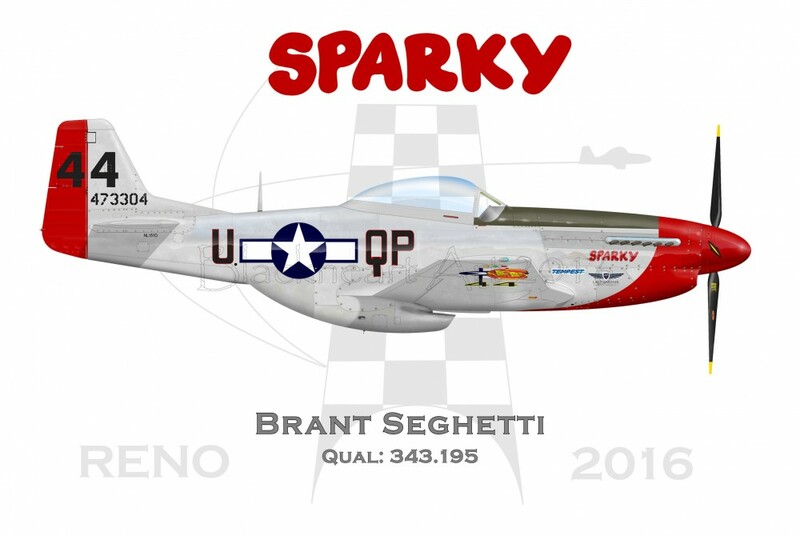 Well Reno National Championship Air Racers have come and gone. Still going through withdrawal. Love the races and lets hope we can make it up there next year and do a booth. In the mean time I have been finishing up a few caricatures and doing some repaints to a couple of my regular profiles. First up is a commission I recently did for a client. 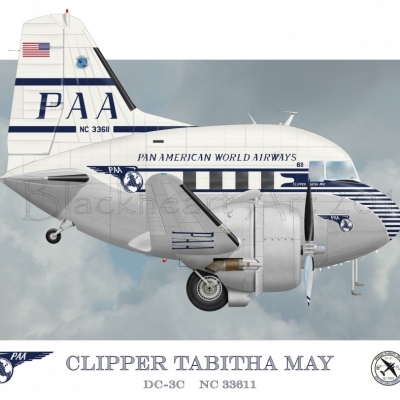 The DC-3 Clipper Tabitha May. Love this look of this beautiful aircraft. 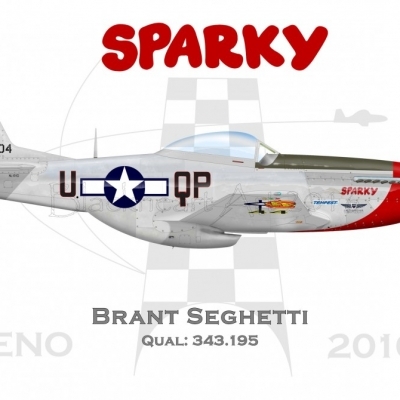 Next up is a couple of racers from the recent Reno Air races. Sparky and Wee Willy II. 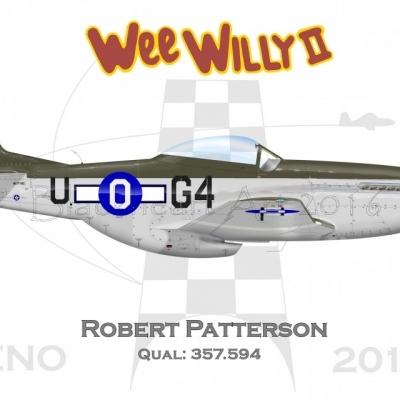 We Willy is part of the Planes of Fame and I had done a profile of this bird awhile back, so took this time to modify the paint scheme to reflect the markings she wore at the racers this year. 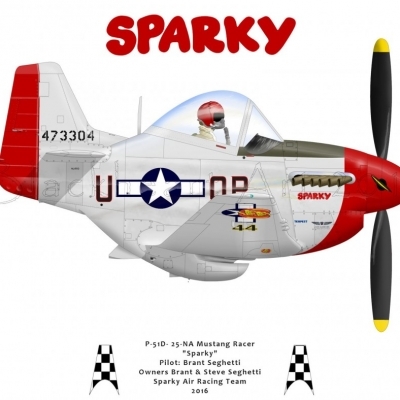 Next was another regular profile of Sparky. 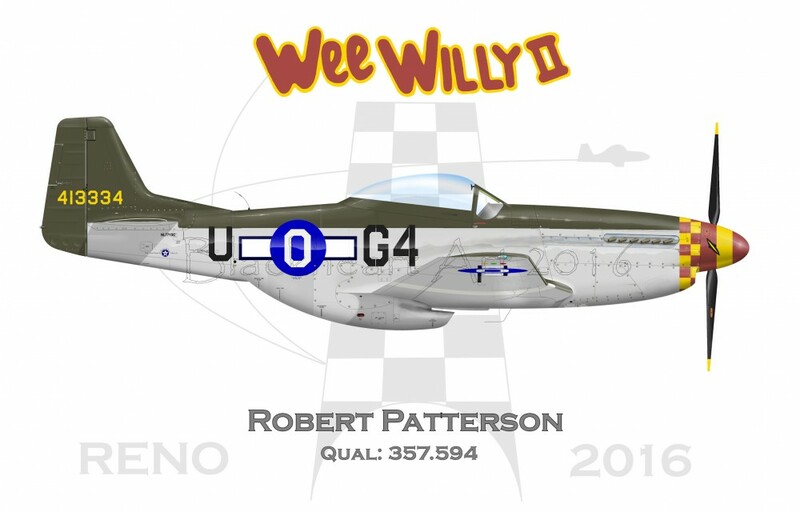 the air racer I did a few years ago as a caricature. This time she is wearing a new paint scheme for 2016. Sparky on one side and Blondie on the other. 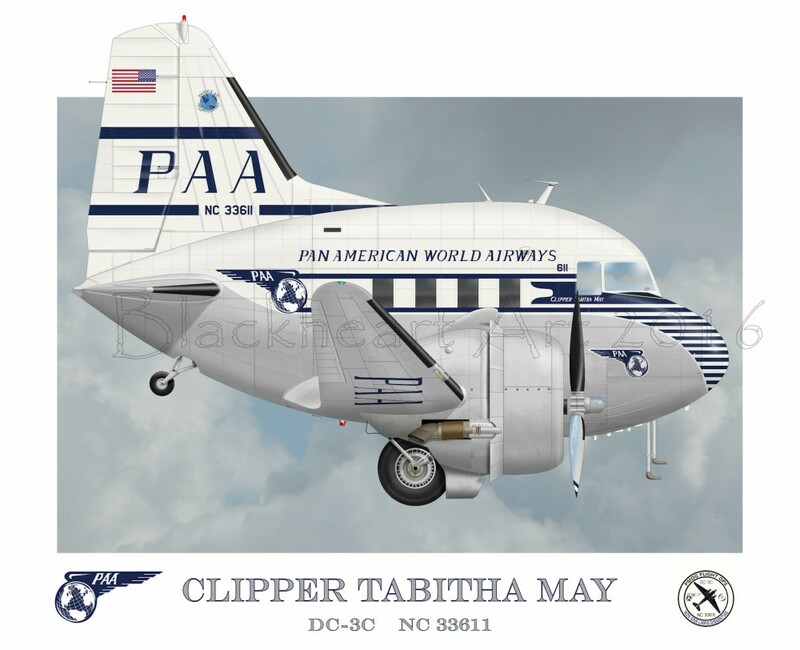 And with the completed regular profile I had to repaint the caricature to match the new scheme. That about does it for this update. I hope to be doing more racers soon. If you don’t see you favorite racer just let me know. We love working on commissions. 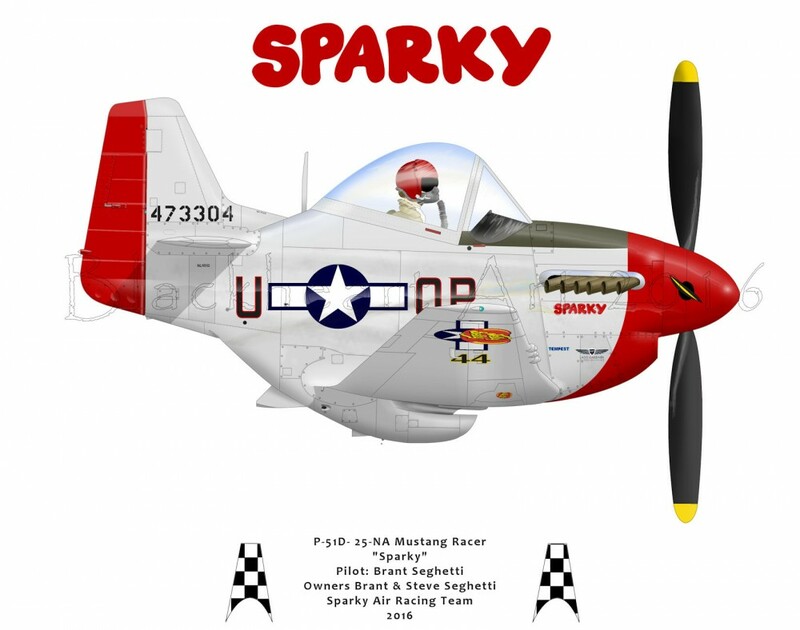 Well I am back to add another air racer. 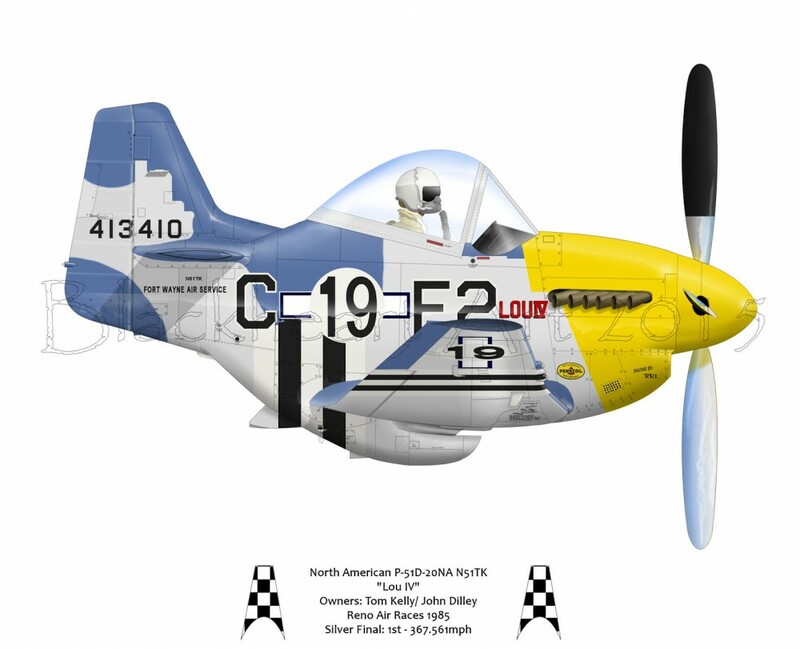 This time a P-51D “stock” racer from 1985. I always liked this colorful scheme and have many slide images from Reno 85 and 86 to draw from. Here is race 19 Lou IV owned and raced by Tom Kelly and John Dilley. In 85 Lou IV finished 1st in the Silver final, flown by Mr. Kelly. It is interesting looking back at my pictures from those years. I noticed that in 85 Lou IV had racing wing tips and in 86 had regular Mustang wing tips. Those into accuracy will note the winning time on the print is wrong. Yes I noticed it after I uploaded the image. The winning time show on the print is for the 86 Gold race where she finished 6th. The winning Silver time should be 374.418. Rest assured that the final print has been changed to reflect the correct time. 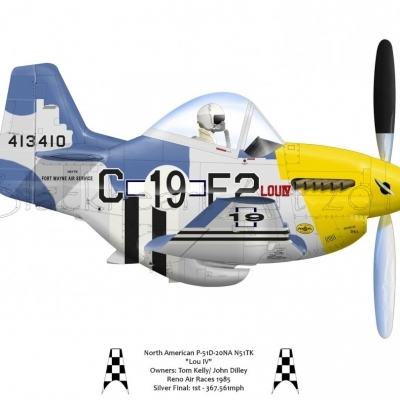 Next up is Sumthin Else, John Crockers Championship winning Mustang.